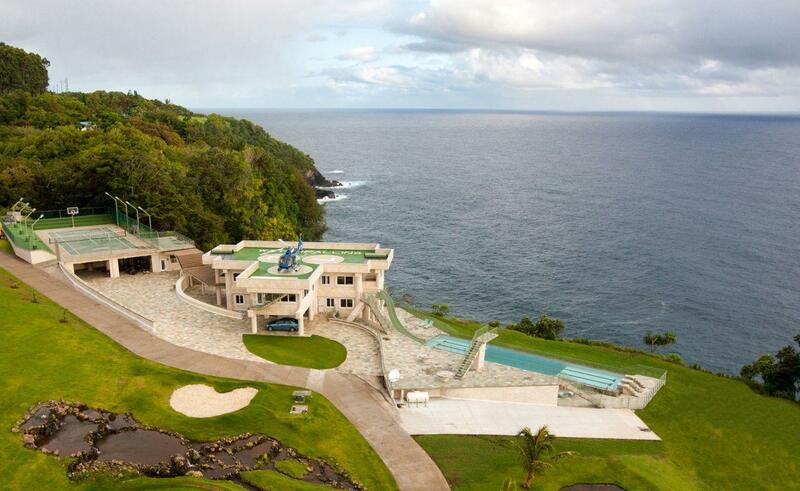 The mansion has views of its own private triple-decker waterfall from every room. 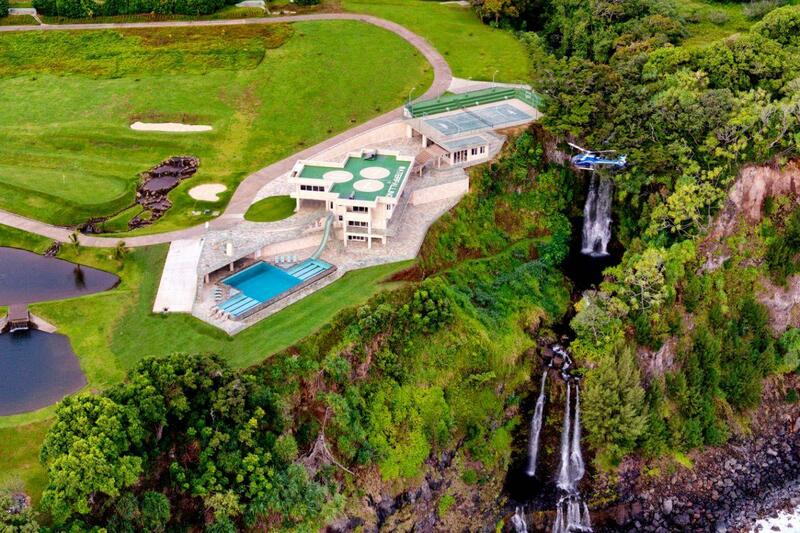 The Hawaiian estate called Waterfalling, inspired improbably by both Frank Lloyd Wright and “Magnum P.I.,” might be known as much for its heart-stopping price history as for its high-drama cliff-top landscape with multiple plunging waterfalls. Yahoo Real Estate interviewed developer Scott Watson as he was about to take Waterfalling to auction. He’d completed it in 2012 and set its price at $26.5 million, which turned out to be a mite high — “untested” was listing agent Kelly Moran’s euphemism — for the area. Watson, obviously no stranger to a gamble (considering that he’d devoted four to seven years of his life to Waterfalling on spec), decided to stand at the cliff’s edge, so to speak, with a so-called no-reserve auction. That meant it’d go to the highest bidder, no matter what the bid was. And so in March 2014 it sold for (drum roll?) $5,750,000. But that wasn’t the end of the drama for Waterfalling. Not six months after scoring the estate at nearly 80 percent off, those lucky bargain hunters had changed their minds. They turned around and relisted it — incidentally, with Kelly Moran, who’s beginning to look more like the lucky one here — first asking $10 million. It languished on the market for more than a year, through price chops, before finally entering escrow this past fall. 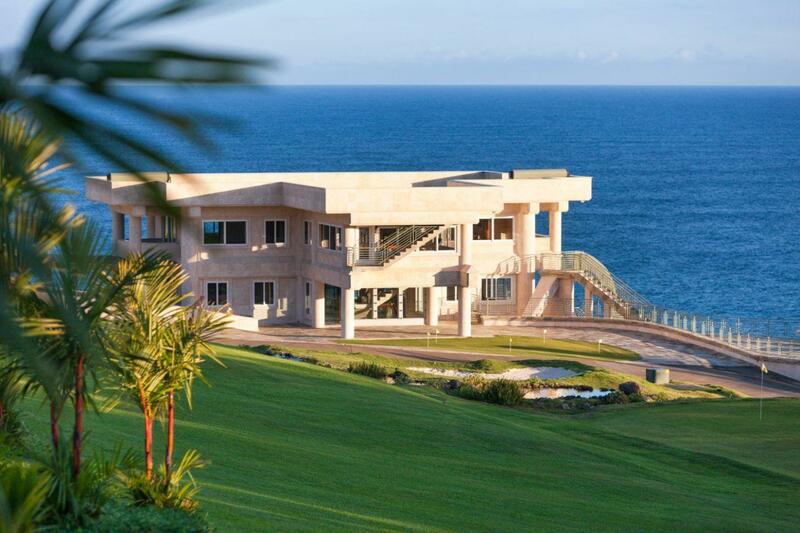 Now the deal has finally closed, Moran tells Yahoo Real Estate, so he can disclose the sale price: $6.8 million, a record-breaker for its East Hawaii region. Rental will start at $25,000 a week.